The online world is changing rapidly and online commerce and marketing is ripe with profit opportunities. 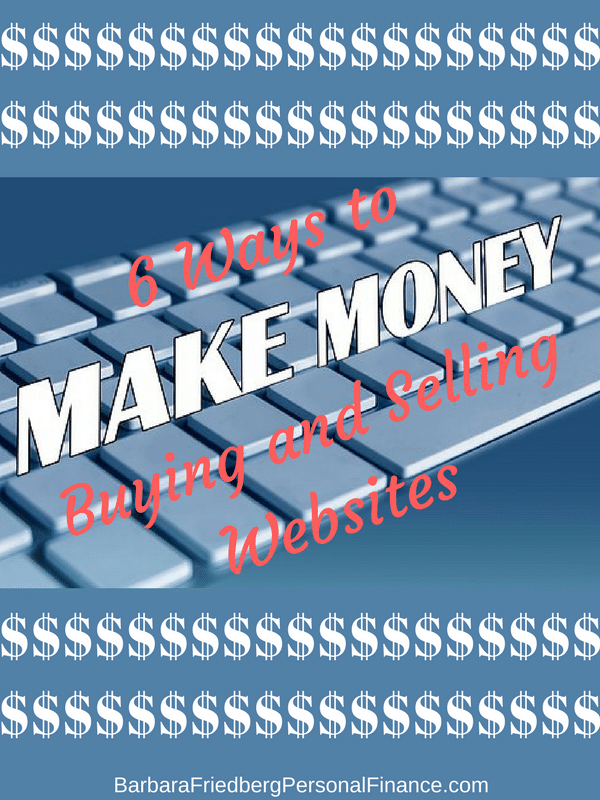 You can make money buying and selling websites with a variety of strategies. From flipping, or buying, optimizing and reselling to buying for your own use, there are many ways to make money with a website. To get the best return on your website investment, there are certain strategies to follow. A smart website investor searches for ways to maximize her website investment, so that the website fits in with her overall business strategy. Invest in a site that aligns with with your interests or your existing business. Investing in sites where the visitors can be potential customers for your products or services is one approach. For example, if you have a janitorial company, buy a website that sells cleaning products. You can direct people to both your sites to drive traffic and sales. This informs users of your other products and services too. The site can be used effectively as a promotional platform for your business by running ads and attract more and more customers. Don’t buy a site solely for traffic. Buy a site that you can leverage to make money. Buying high traffic sites can be useful to generate advertising revenue and publishing content that fits your business model. Content optimization is very important for such sites to effectively harness the potential customer revenue. High traffic sites offer two advantages; promoting your other products and also by optimizing the site, promoting the offerings on the existing site. Use newsletter sign ups and giveaways to keep visitors coming and revenue growing. Sometimes buying a website to sell quickly is a good option. For this approach, you need to look for sites that are performing poorly but have the potential to offer good returns after updating and optimizing. Looking for ecommerce sites that are selling products with well defined markets and owners unable to successfully market or promote their website. The idea behind flipping websites it that you can easily implement changes to optimize the website and make it more attractive for customers. After the updates and optimization you can resell the website within a short period of time. If you’re a trend-follower you might buy a website focused on a popular theme. Popular keywords, can be a great way to drive traffic to a site. If you can catch a trend early, you’ll be able to capitalize on traffic to your niche site. Easiest way ever to make cash! Get paid when you do stuff online with Swagbucks. My readers love to watch videos, take surveys, play games, and earn free stuff just by hanging out online. And for a limited time you get a free $5.00 sign up bonus! If you uncover a website for sale that lends itself to a niche keyword, you can optimize the site and drive traffic. Once on site, there are a variety of ways to make money, from affiliate sales to advertising and product sales. You can also merge with sites that might not be for sale. By approaching complementary websites and pitching a merger, you have an opportunity, after negotiation, to merge your site with the new web property to create a larger and more attractive website. This way you actually merge with the competitors rather than removing them. Very often smaller websites are taken over by larger ones to increase the market share and make it profitable for both by reducing the competition. Should I Drive for Uber to Make More Money? If you are good at gauging the future value and scope of online business propositions, you might choose a website, solely based upon the domain name. Here you are less concerned about the type of site and content and more concerned about the domain name. With a popular domain name, with a little work optimizing a site, you can create a profitable website. Head over to our Make Money Portal for scores of money making articles. For more information about investing in websites and digital assets, head over to Blackbook Investments to get more information. Mohit Tater is the founder and CEO of BlackBook Investments where he helps people invest in online businesses and digital assets. Apart from advising clients on SEO and marketing he also blogs at mohittater.com. *Disclosure: Please note that this article contains affiliate links which means that – at zero cost to you – I might earn a commission if you sign up or buy through the affiliate link. That said, I never recommend anything I don’t believe is valuable.